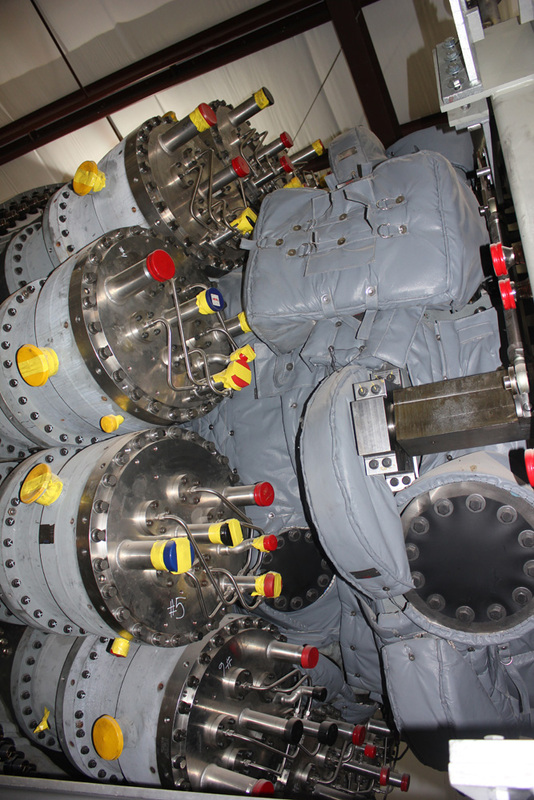 • Term: COD through 1st Major Inspection for both GTGs with options to extend. 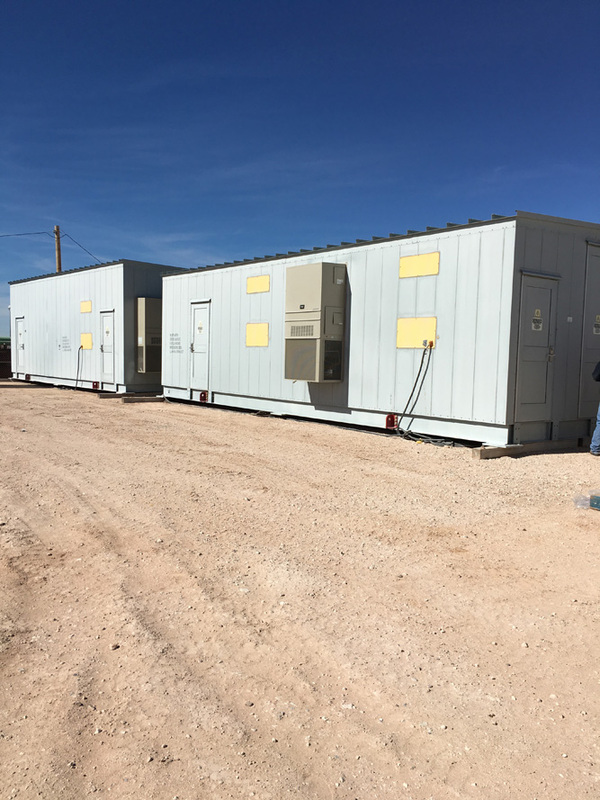 • Services include program management, warranty coverage, and performance of scheduled outages. 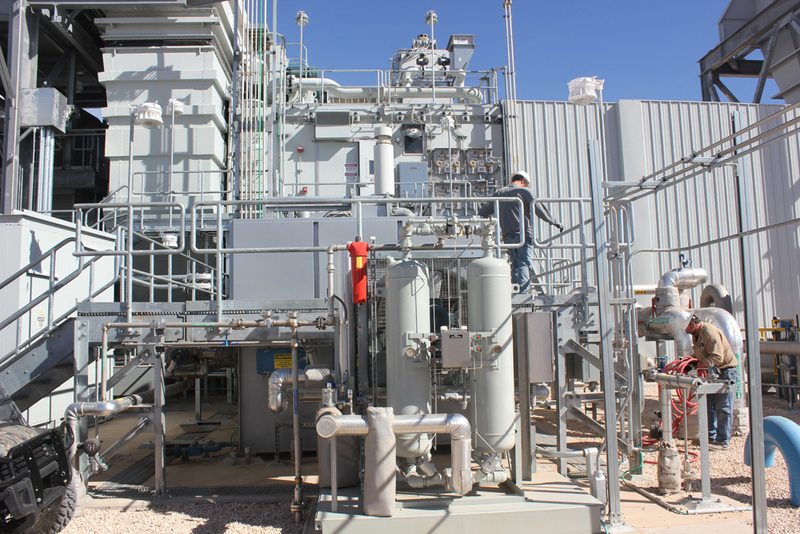 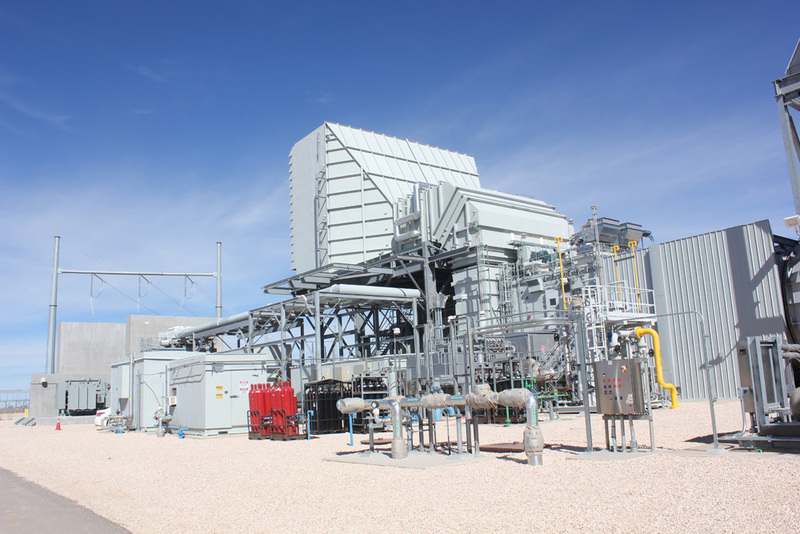 • Gas Turbine natural gas purge credit with fast start capability delivers 225 MW ISO in 11 minutes. 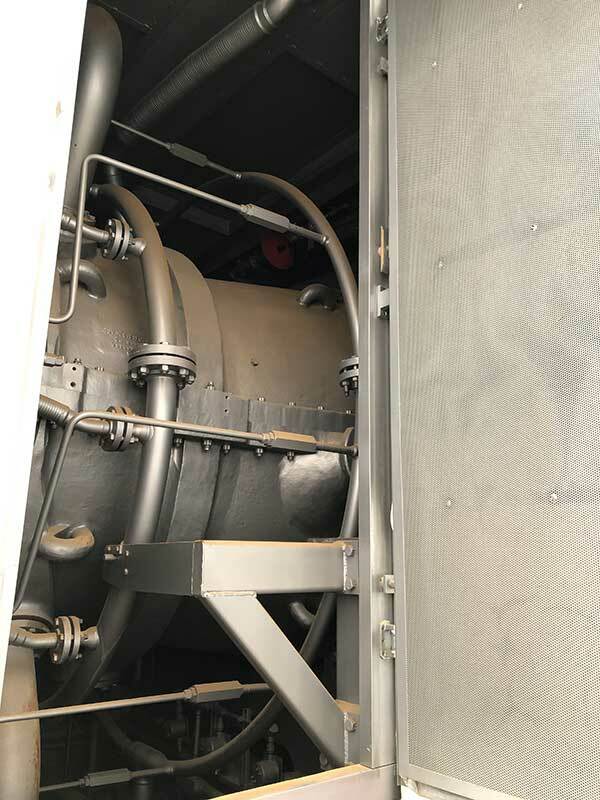 • DLN with guaranteed 9 PPM NOx with sister unit regularly operating around 5 PPM. 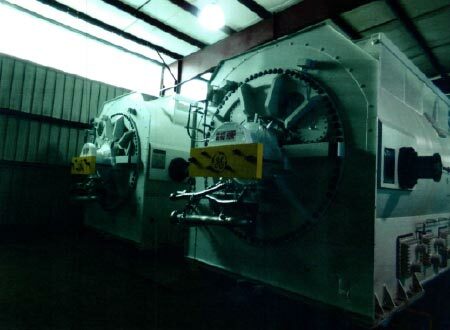 • Triple Module Redundant (TMR) Speedtronic Mark VIe control system (Rotor, Bearings and Performance Monitoring System. 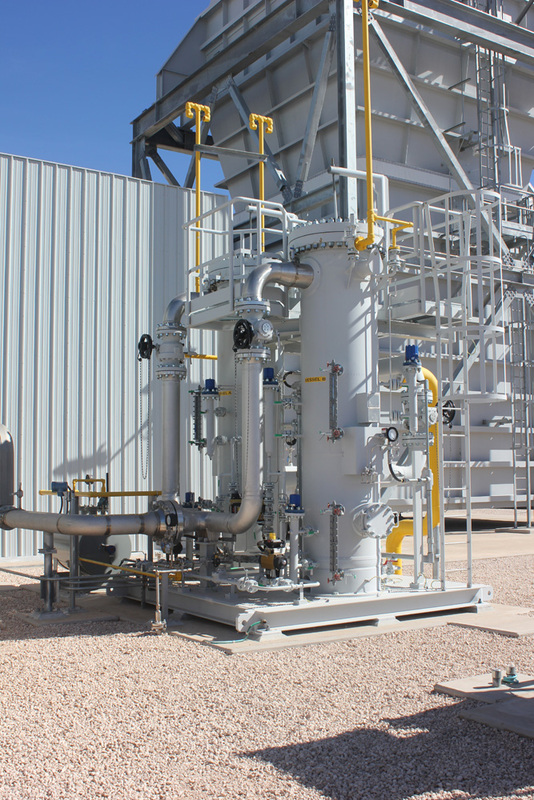 • Natural Gas Fired yet flexible and can be adopted to operate on distillate oil, lean methane fuels, pure ethane, syngas, light crude oil, Arabian Super Light (ASL) crude oil and a variety of other fuels. 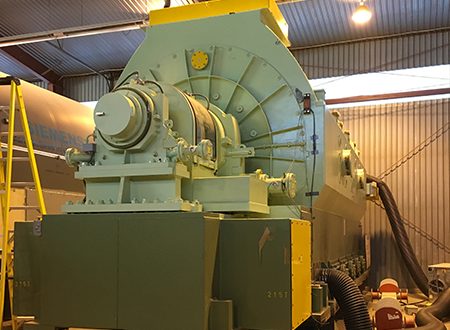 • When peak power is the primary consideration, the 7FA.05 turbine will deliver 3-4mw in additional power, depending on the site conditions. 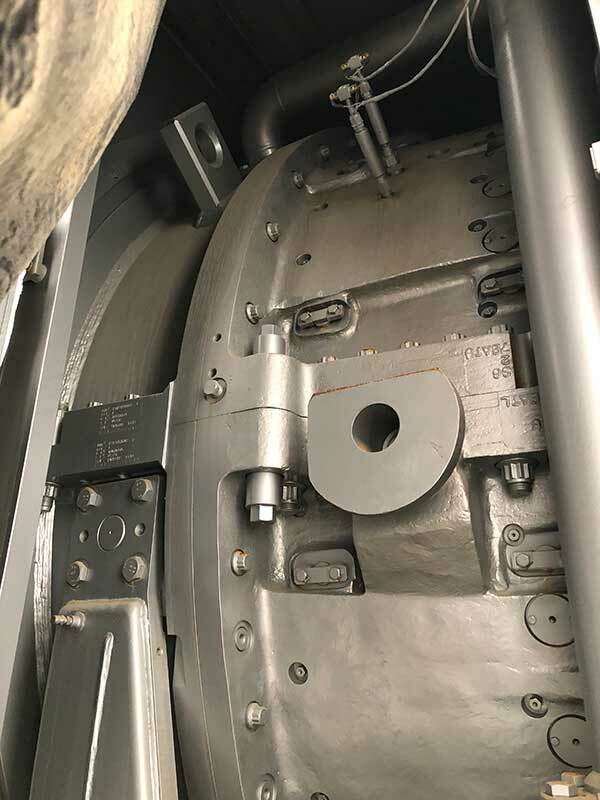 • 100% borescope coverage simplifies and fortifies inspections. 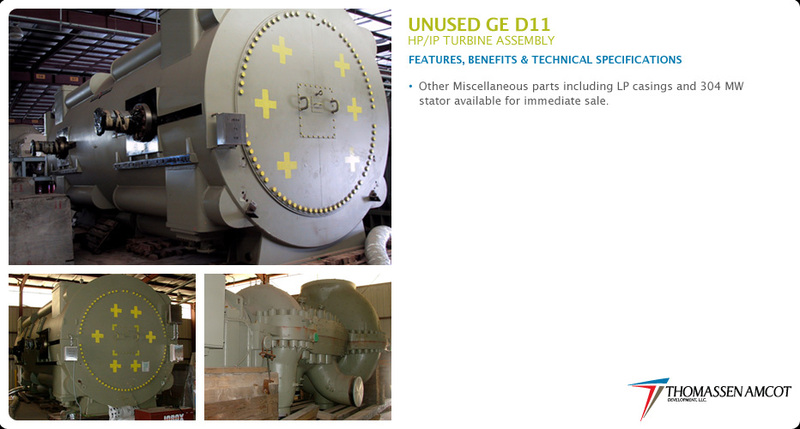 • Field-Replaceable blades for improved maintainability. 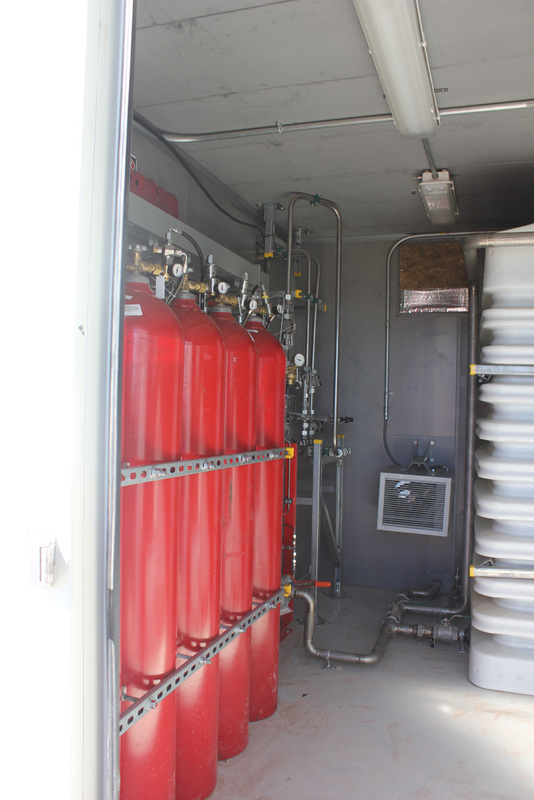 *Can be converted to natural gas for an additional cost. 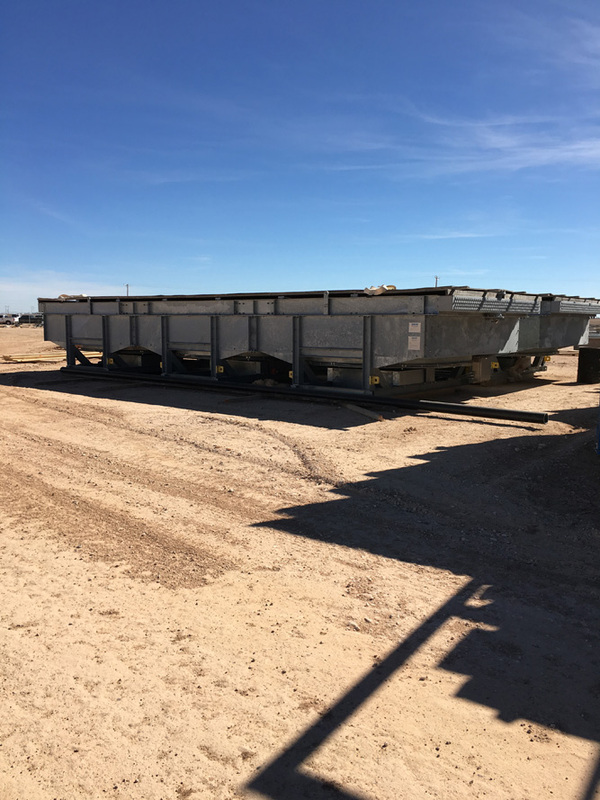 *Only 2 units remain available! 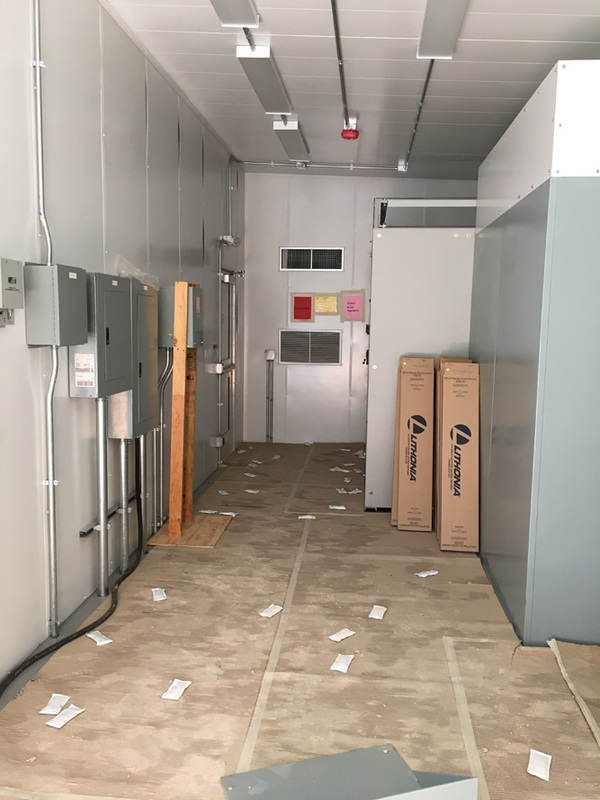 "As Is Where Is" and this unit is subject to prior sale. 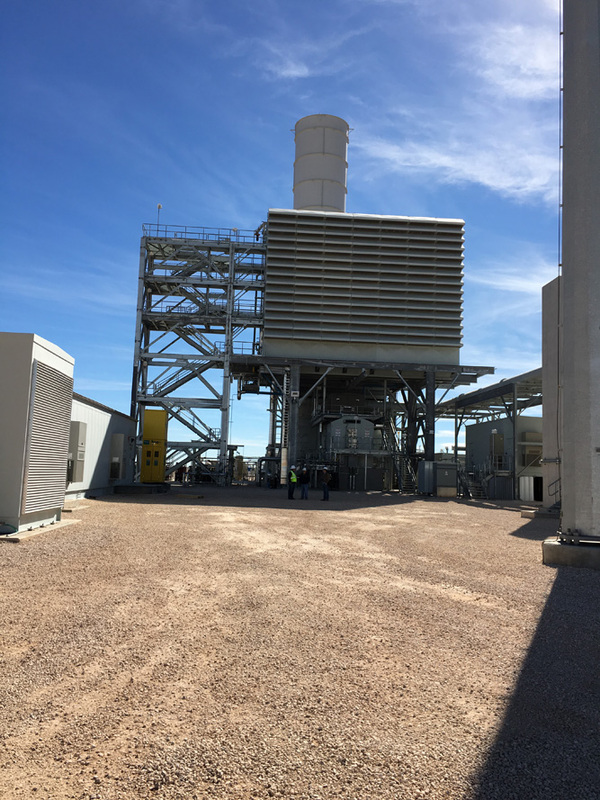 4 Trent 60 Dual WLE GT's (58,000 kWe), Gross heat rate 8,592 BTU/kWe.hr (LHV) - 2 units handed left and 2 unit handed right. 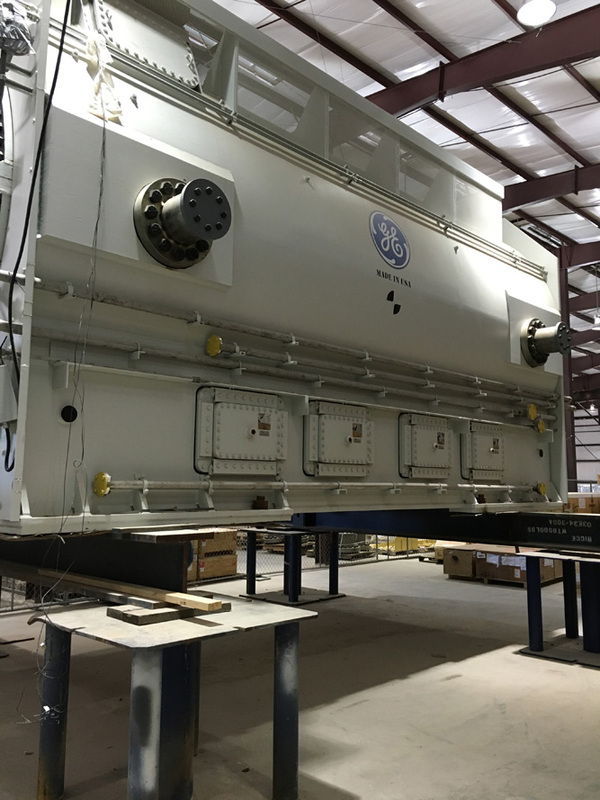 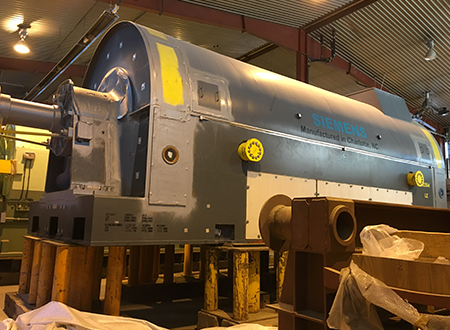 GE reheat steam turbine designed to work in conjunction with three GE 7FAs in a heat recovery application without supplementary firing. 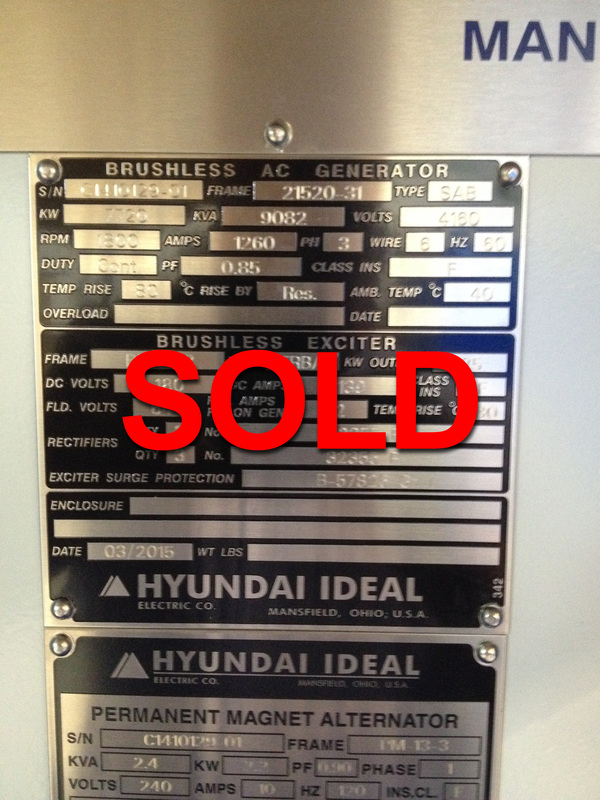 All equipment is new, uninstalled and unused. 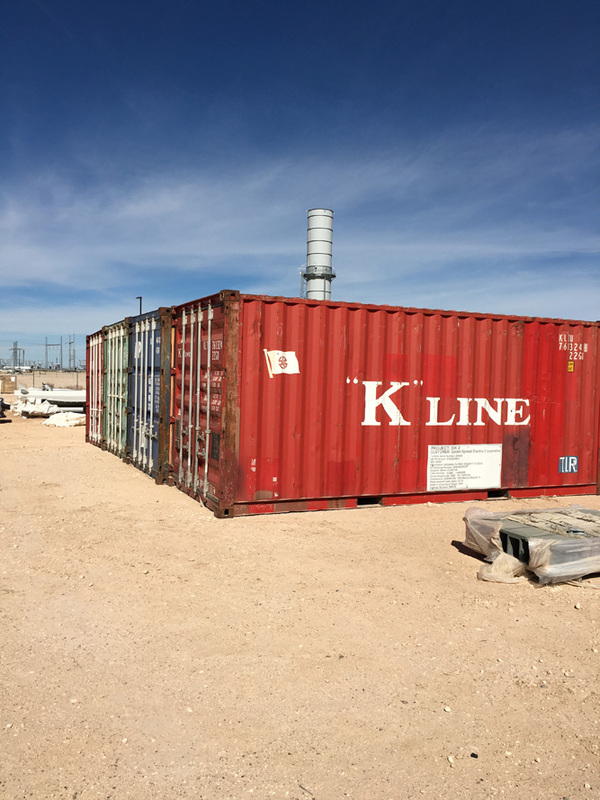 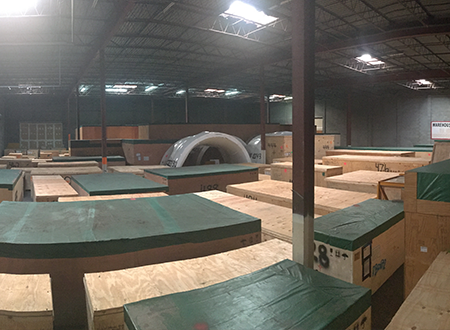 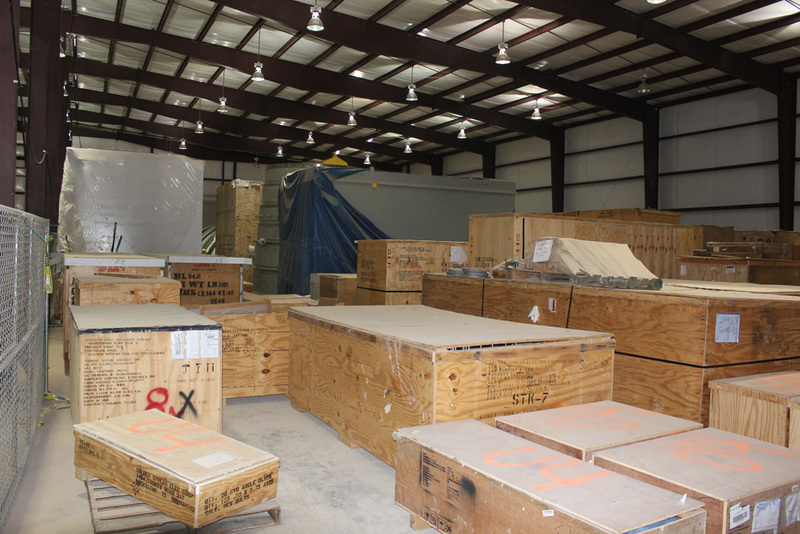 All equipment is under maintained storage in Houston Texas. 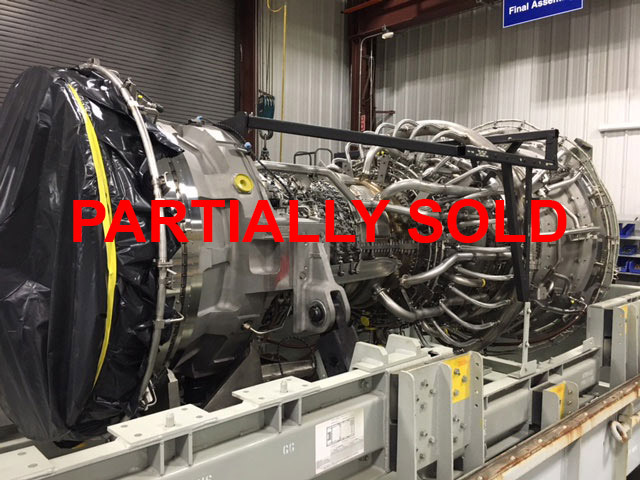 Warranties have expired. 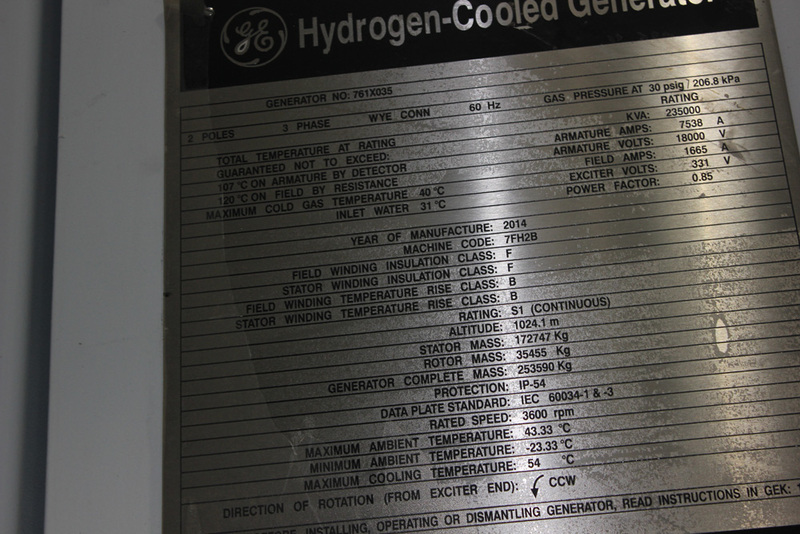 Any new warranties will have to be negotiated directly with General Electric. 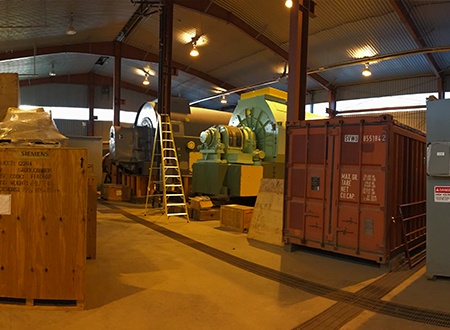 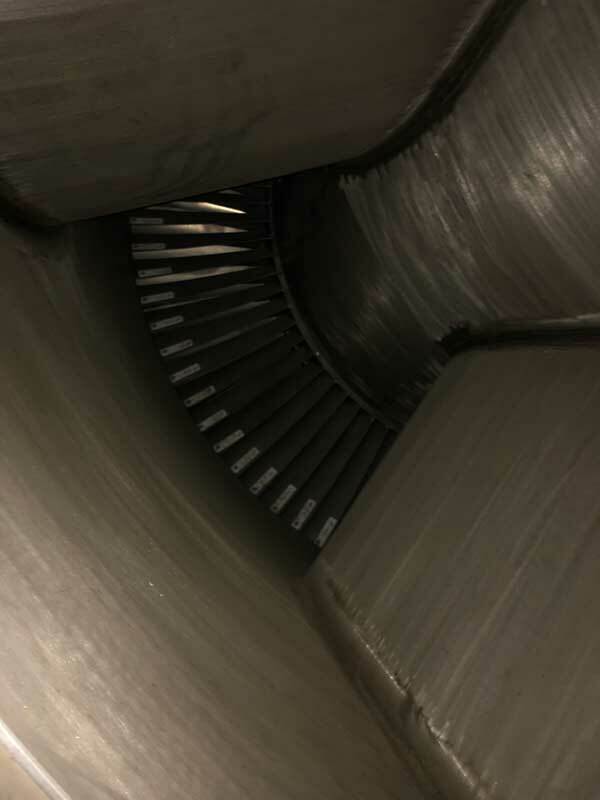 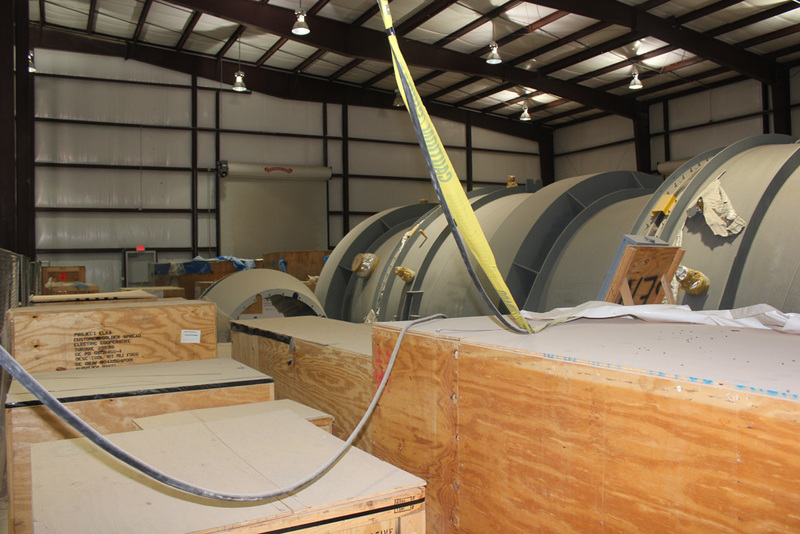 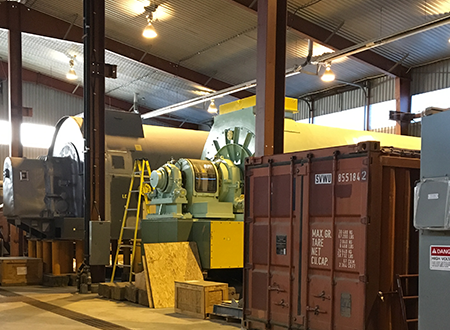 This Turbine was originally purchased in 2001 for use in a 3 on 1 project in New York. 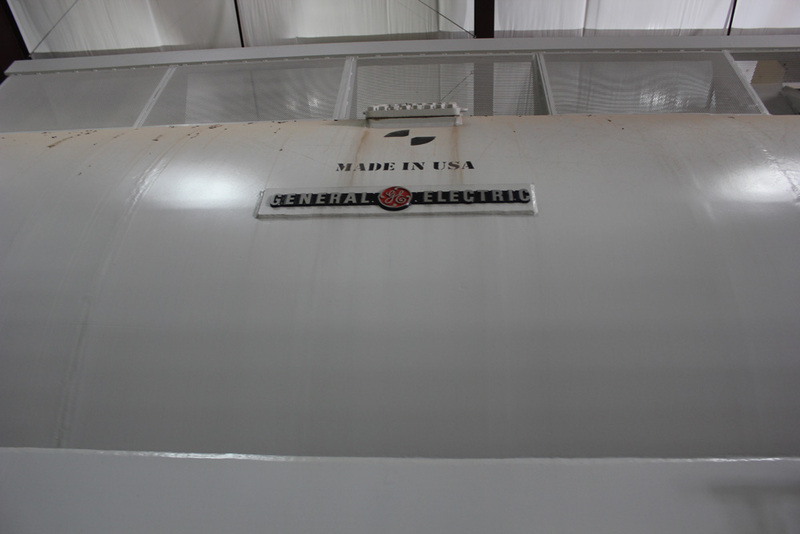 Although it is suitable for use in a 2 on 1 with heavy duct firing. 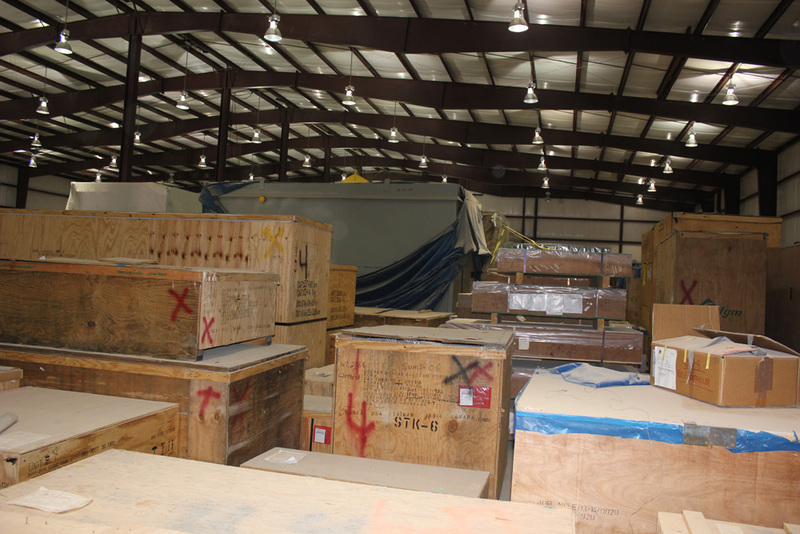 It was stored in New York until late 2006 when it was relocated to Houston. 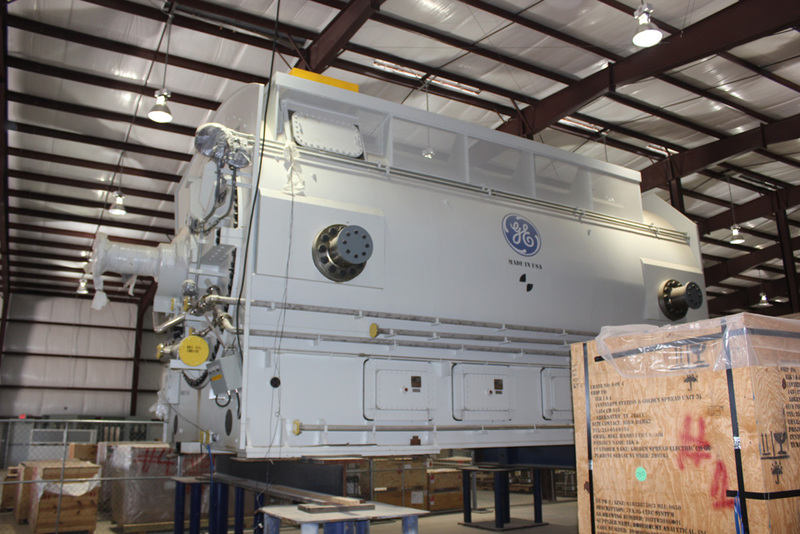 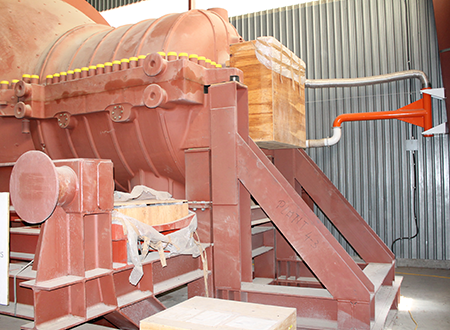 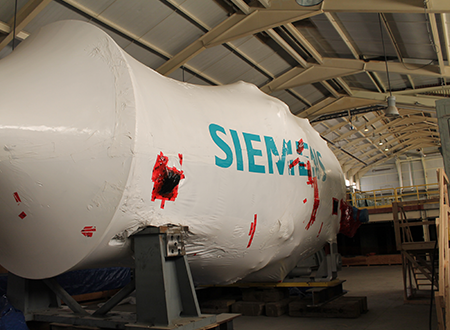 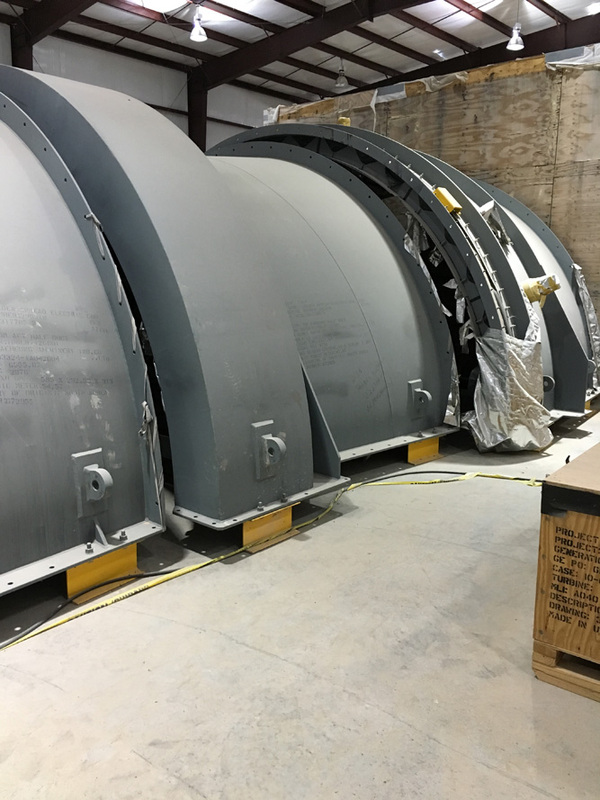 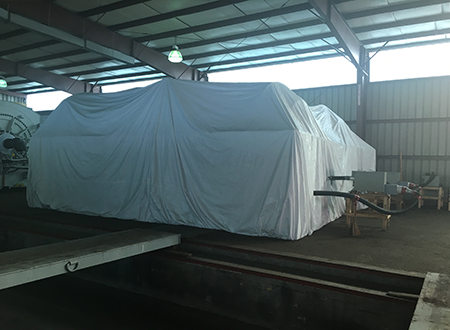 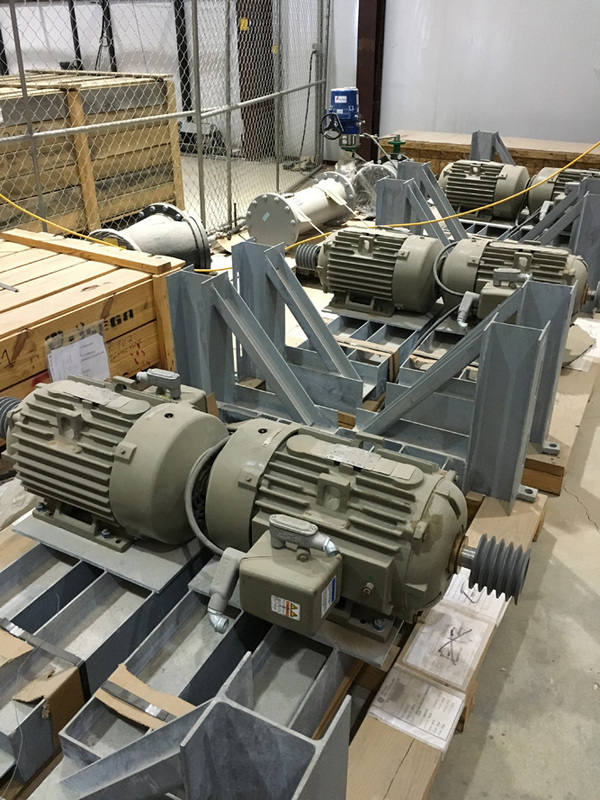 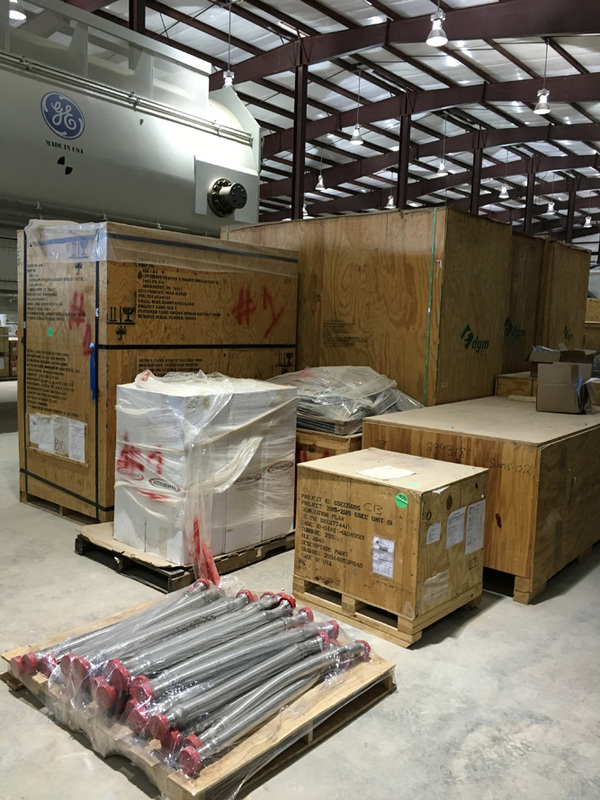 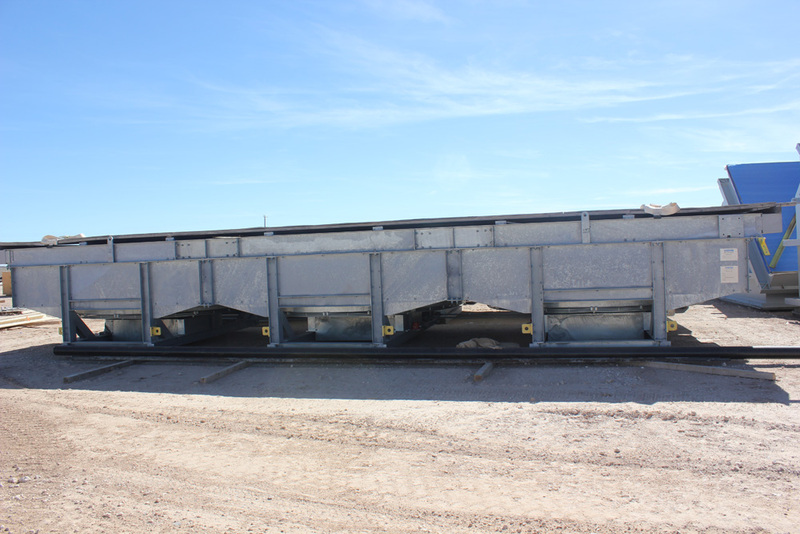 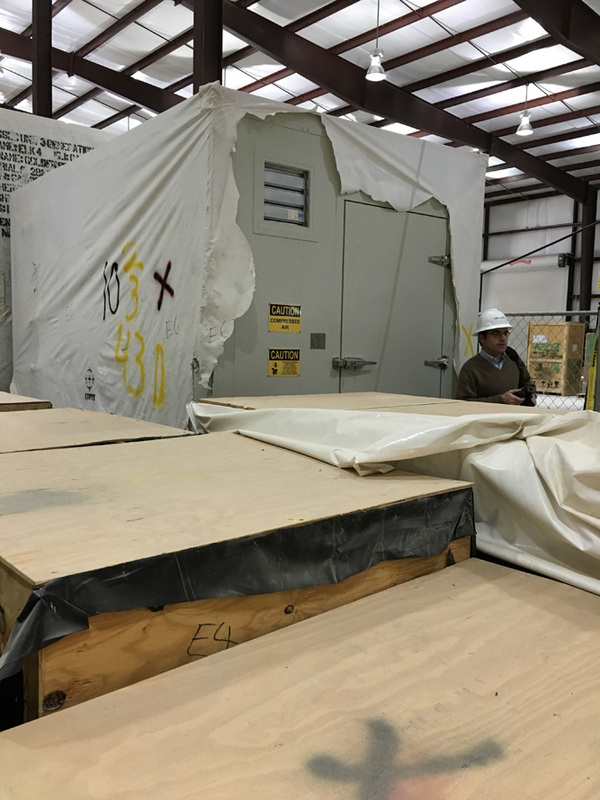 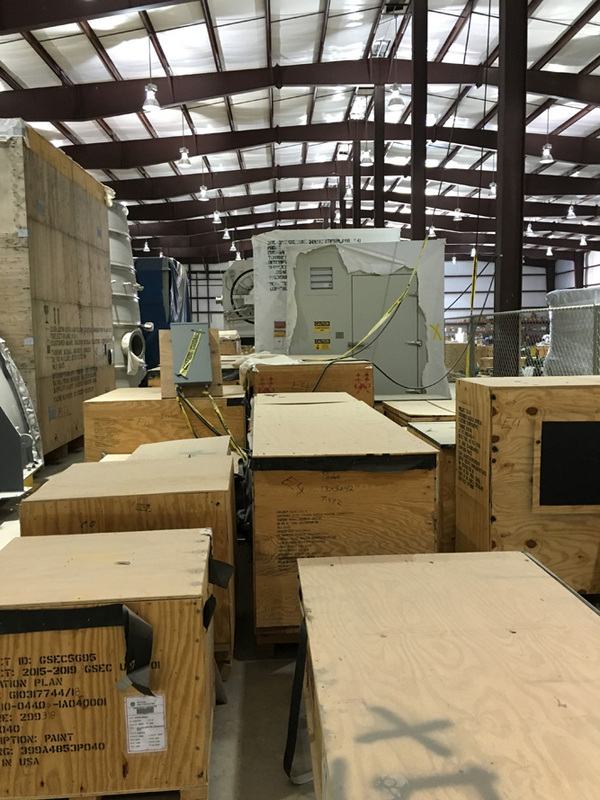 It was inspected placed into storage and initially maintained by GE. 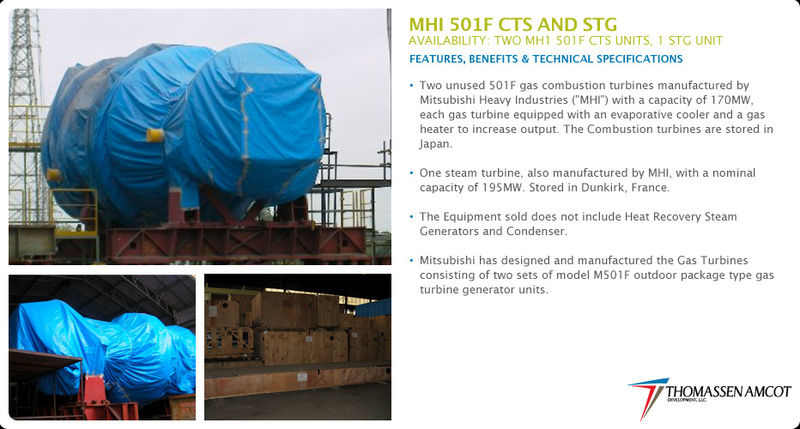 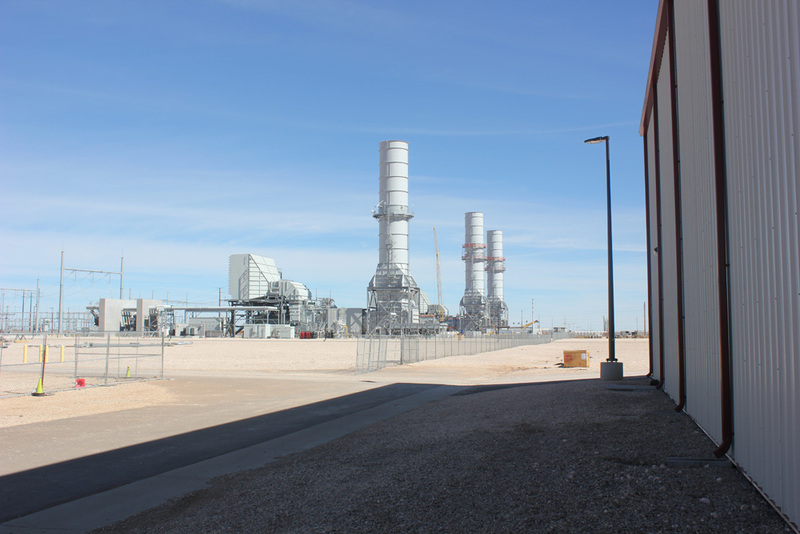 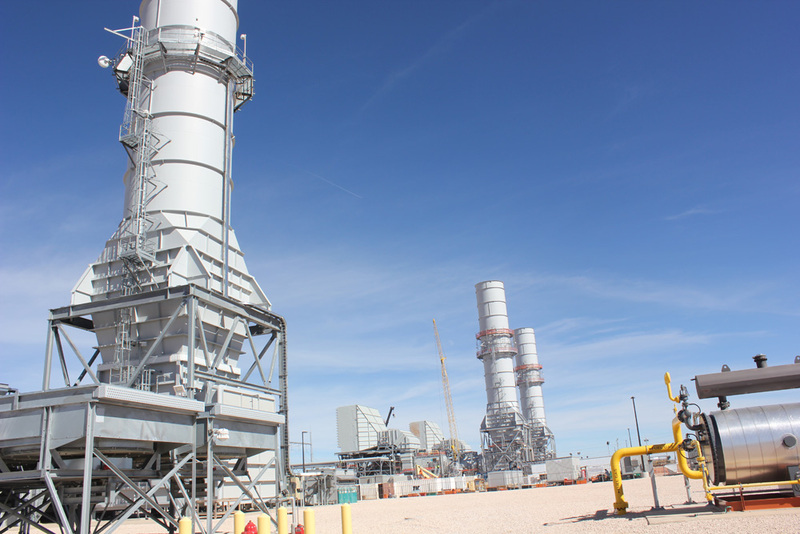 Two unused 501F gas combustion turbines manufactured by Mitsubishi Heavy Industries ("MHI") with a capacity of 170MW. 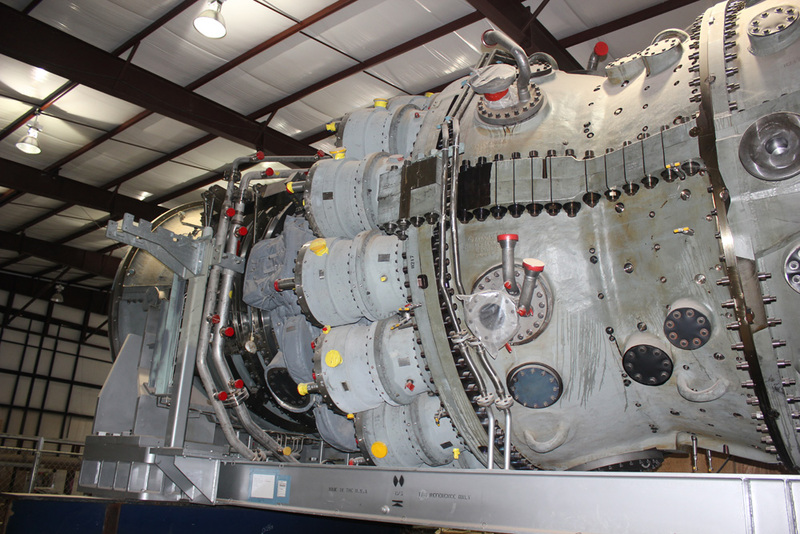 One steam turbine, also manufactured by MHI, with a nominal capacity of 195MW. 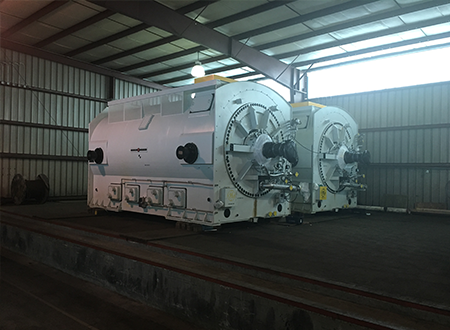 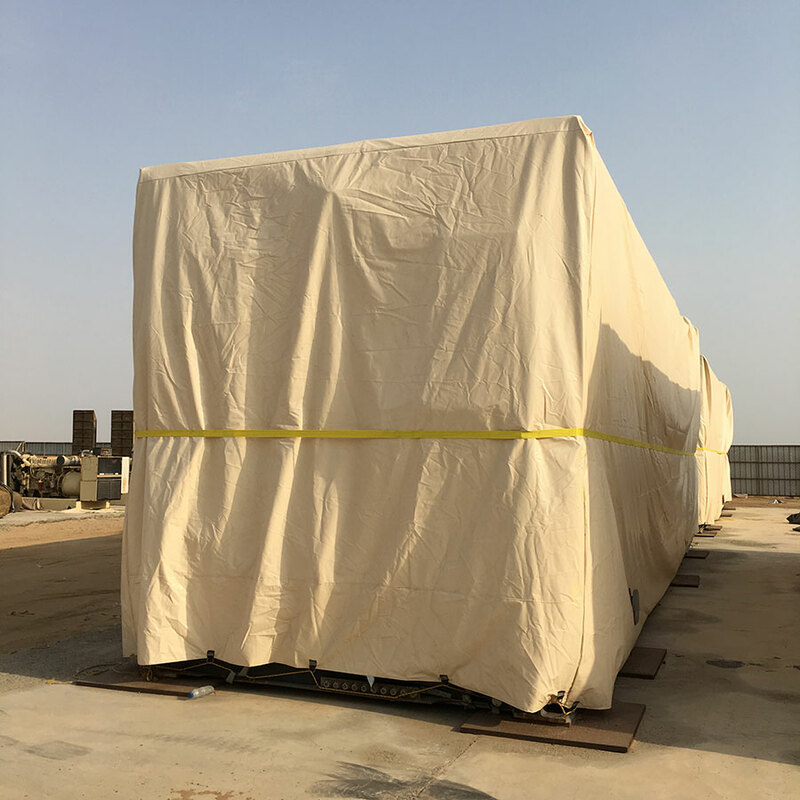 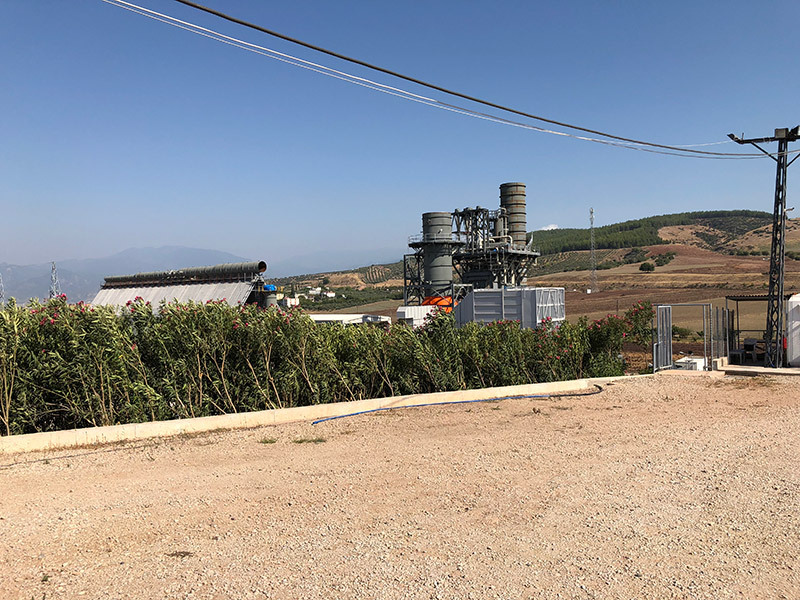 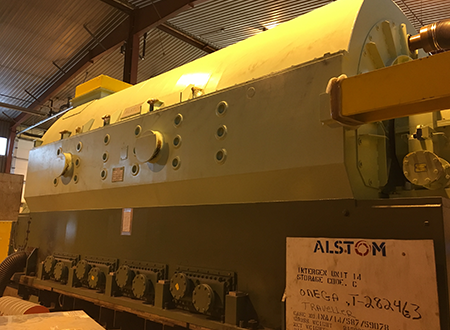 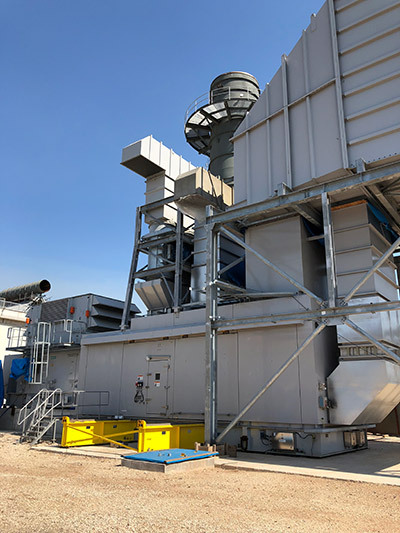 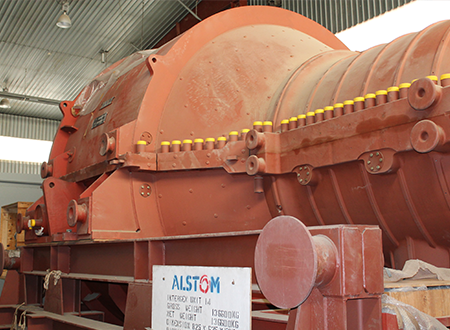 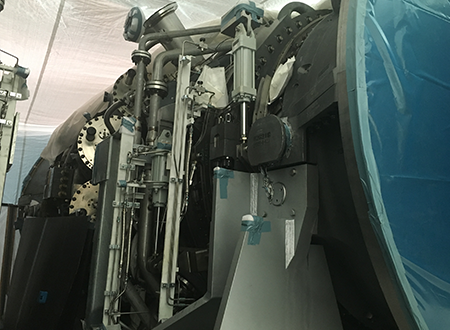 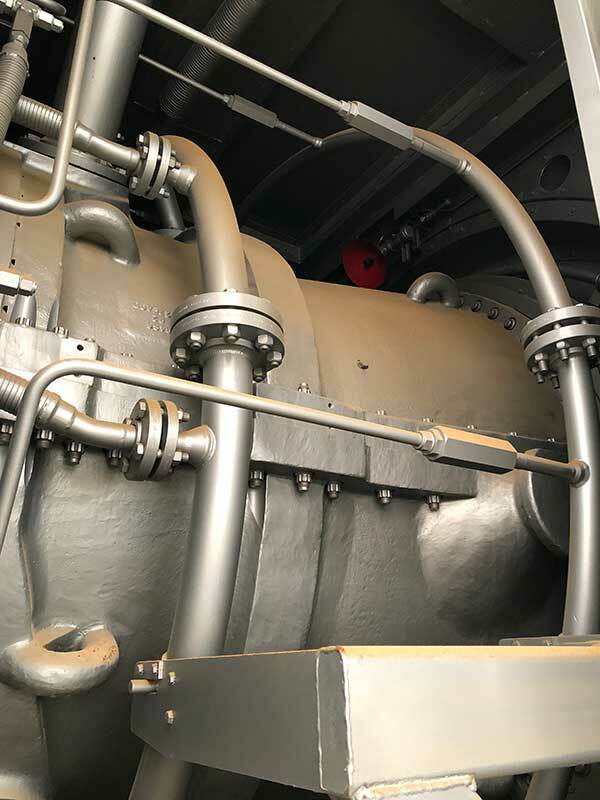 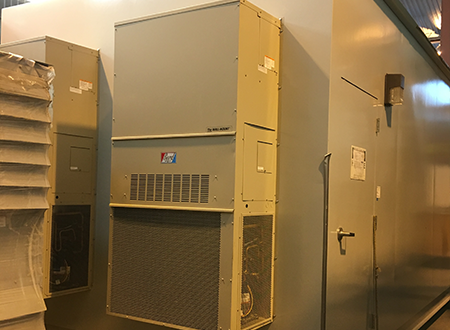 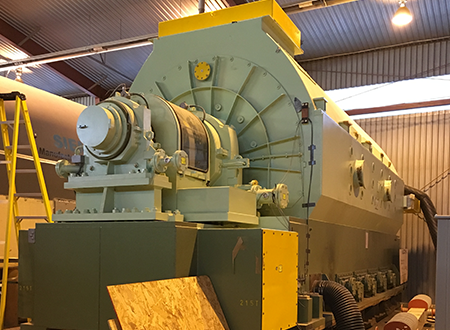 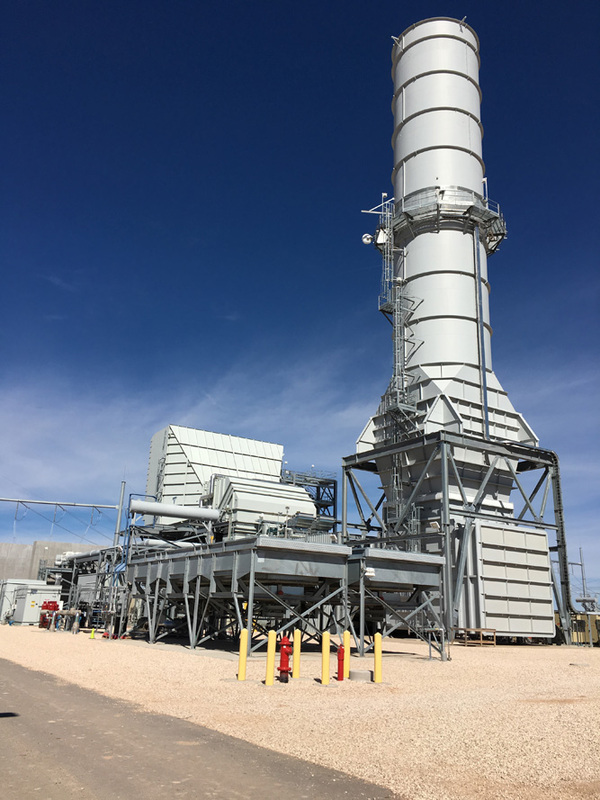 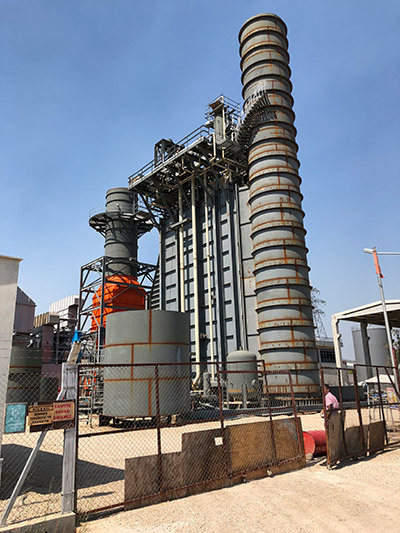 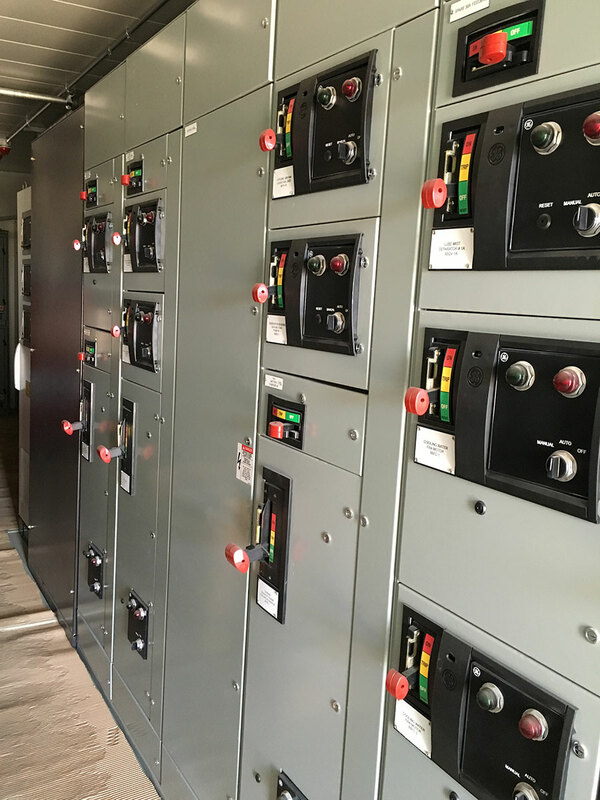 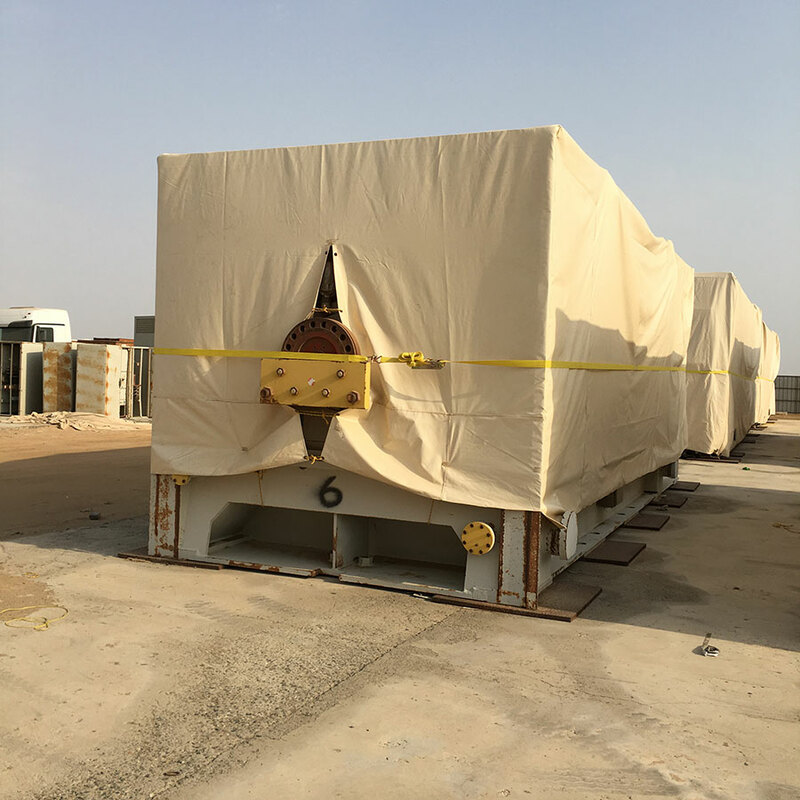 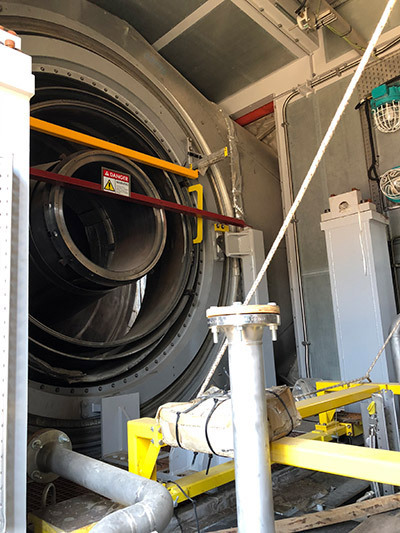 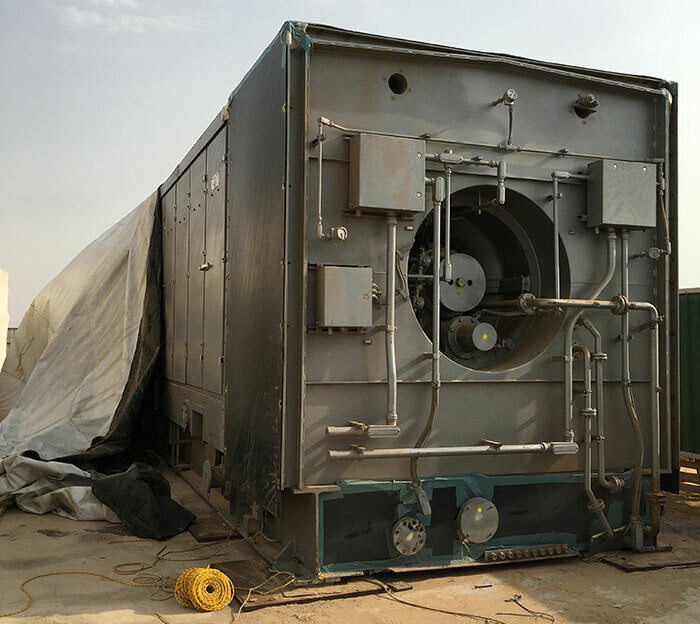 These steam turbine generators (STGs) are new, 140MW Alstom two-cylinder (HP and IP/LP) reheat condensing steam turbine generator sets suitable for combined cycle outdoor operation with axial exhaust and air-cooled (TEWAC) genator. 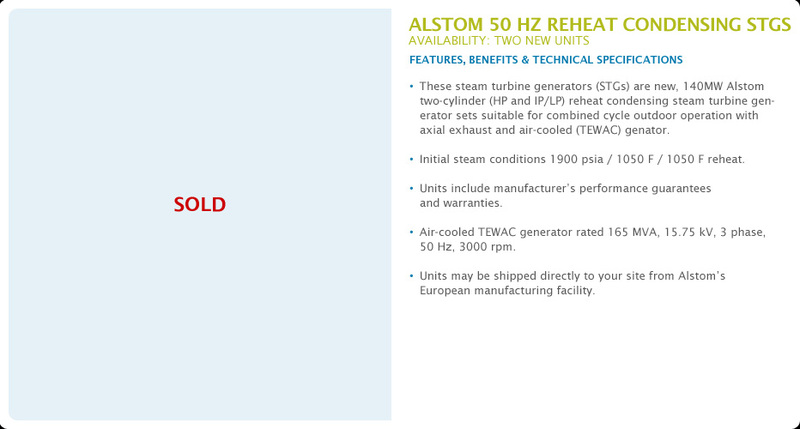 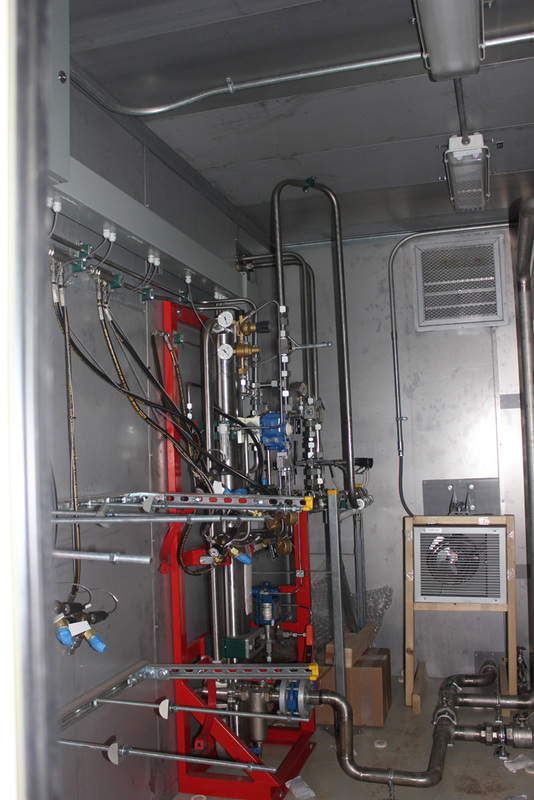 Units include manufacturer's performance guarantees and warranties. 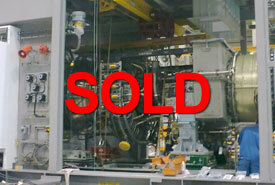 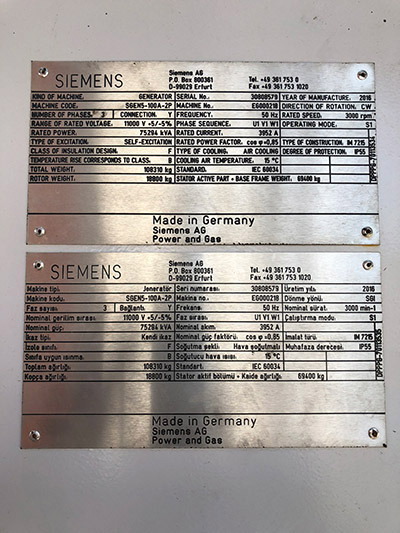 Other Miscellaneous parts including LP casings and 304 MW stator now available for immediate sale. 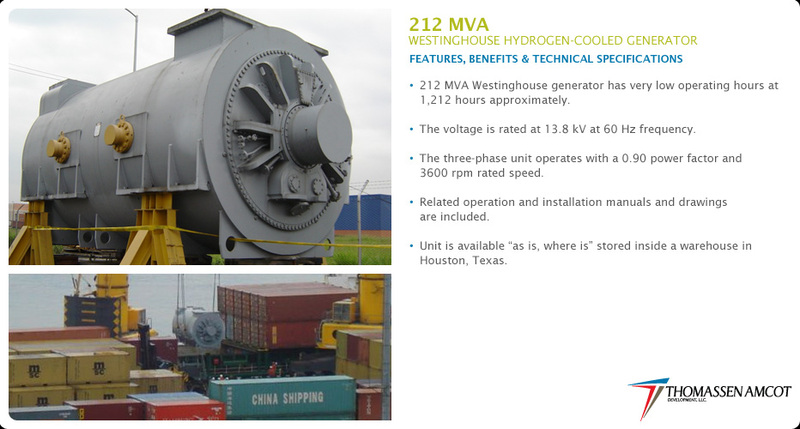 212 MVA Westinghouse generator has very low operating hours at 1,212 hours approximately. 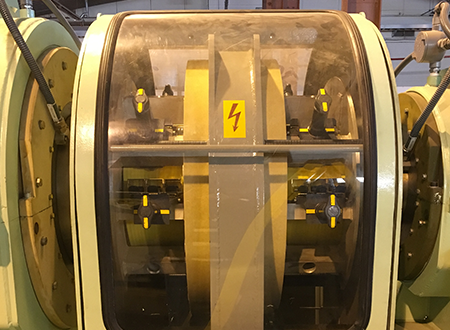 The voltage is rated at 13.8 kV at 60 Hz frequency. 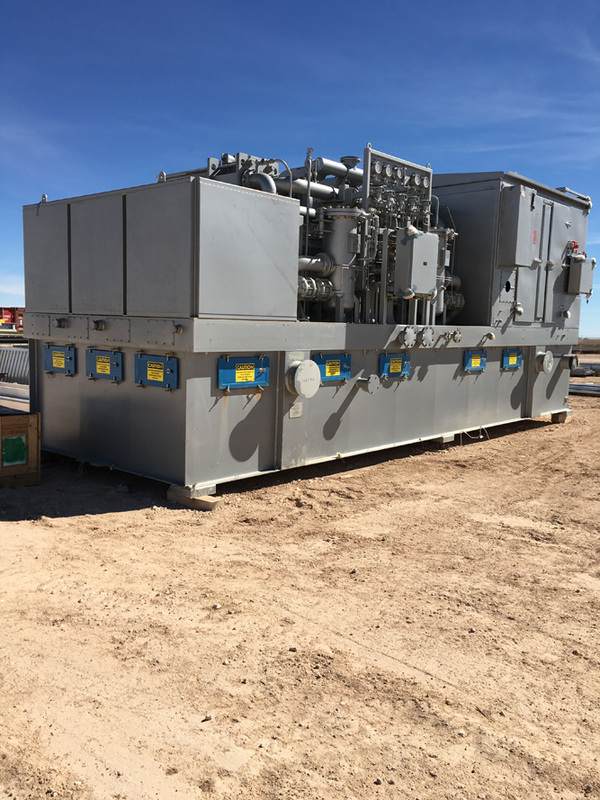 The three-phase unit operates with a 0.90 power factor and 3600 rpm rated speed. 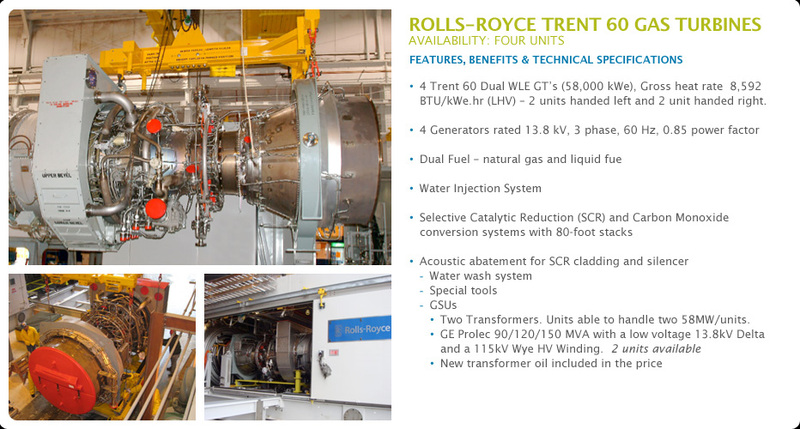 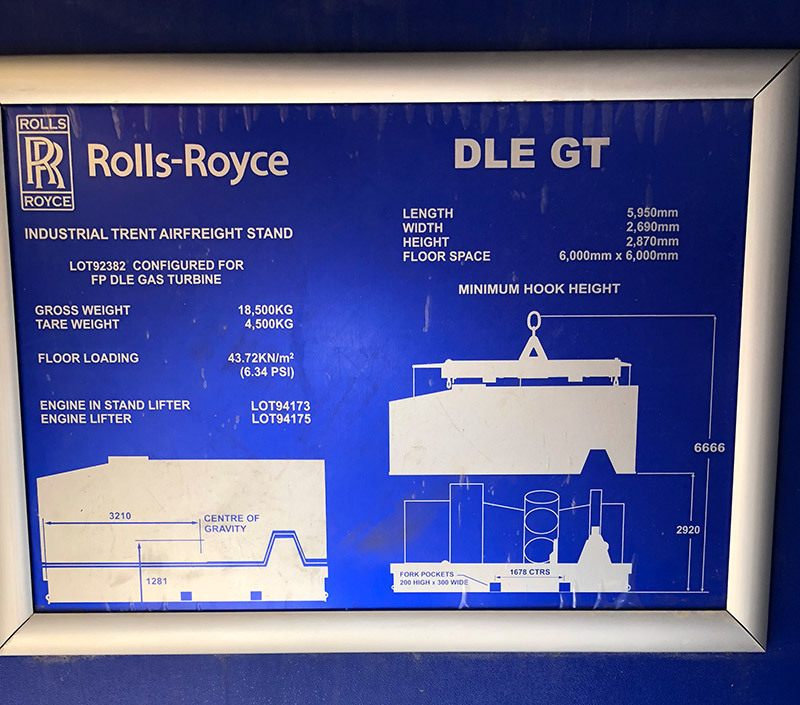 Rolls Royce USA, Ohio manufactured Trent 60 Gas Turbine Generator Set. 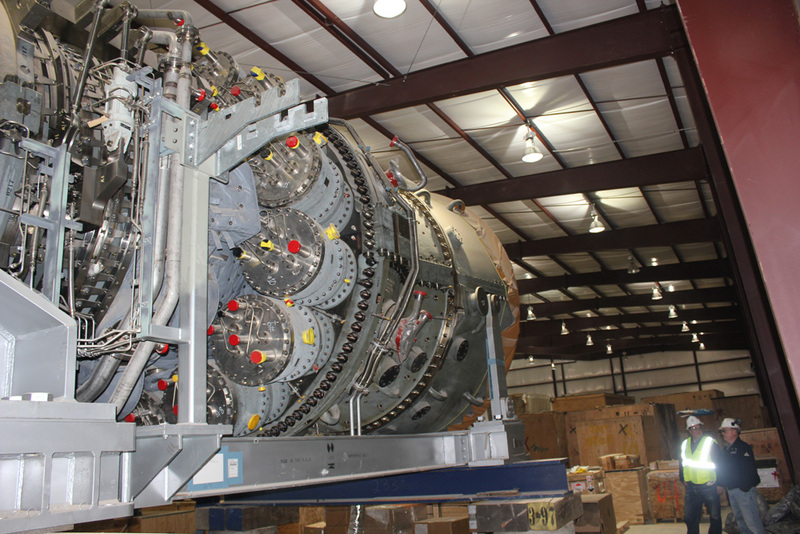 • An aeroderivative gas turbine. 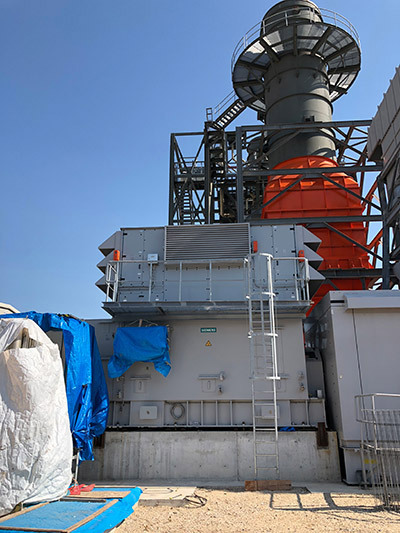 • Gas Turbine & Generator Accessory Equipment, including controls, HVAC, lighting, fire protection, electrical package, oil systems etc. 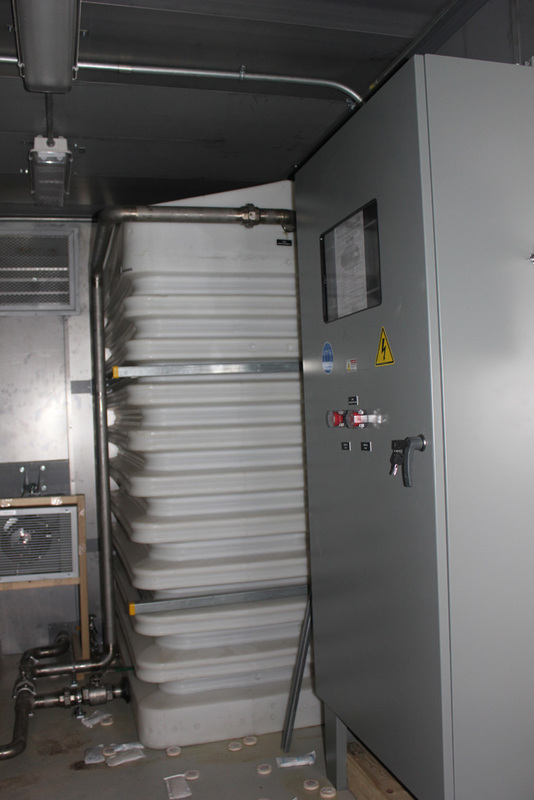 • Gas Turbine enclosure, with associated lighting, HVAC and fire protection. 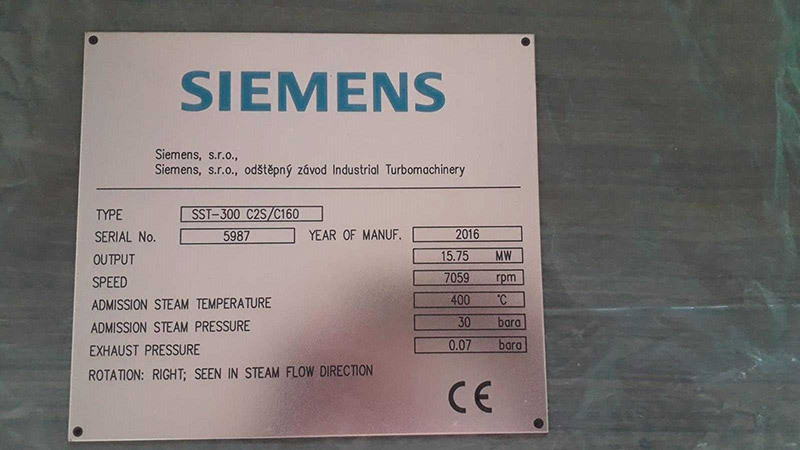 • Steam Turbine & Generator Accessory Equipment, including controls, HVAC, lighting, fire protection, electrical package, oil systems etc.